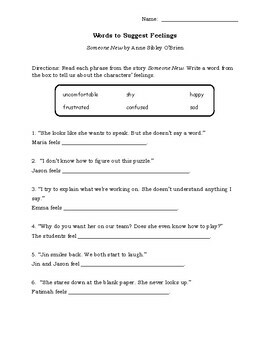 These activities relate to the picture book Someone New by Anne Sibley O'Brien. It's an easily-accessible story of three students new to the United States, and their peers' reactions to them. From wariness to friendship, your students can follow their short, powerful journeys. 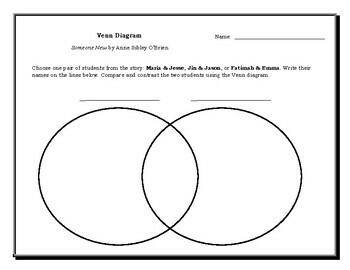 Use the Venn diagram to compare one of the featured set of friends. 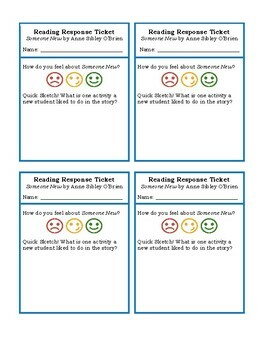 Gauge students' interest via the "Reading Response Tickets." And use the word bank activity to discuss the emotional responses of all students involved.